Home PERSONAL	CAN I LIVE HERE? Every morning right after I wake up, I grab my own ‘coffee to go cup’, pour it with fresh coffee (make it first, lol) and leave the house for a wonderful morning walk. My Boyfriend lives in Amsterdam and I live in The Hague. 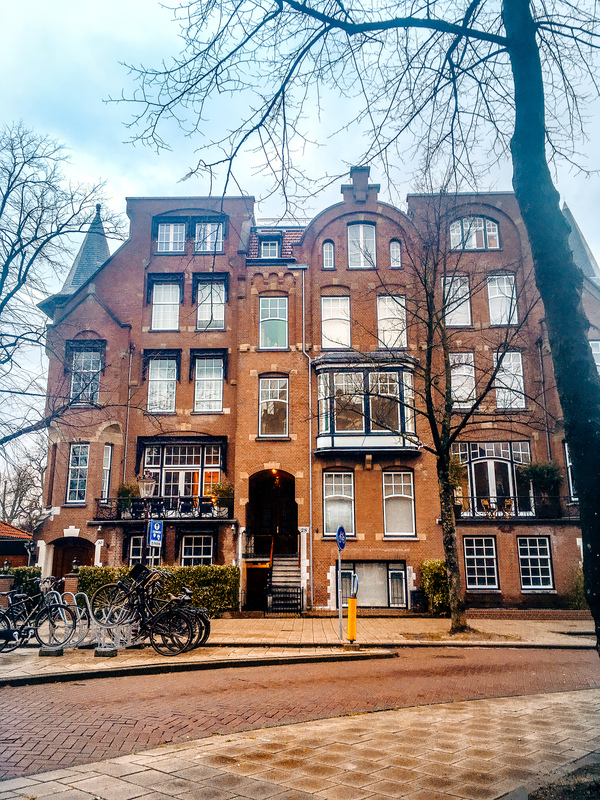 I make sure that whenever I am in Amsterdam, I walk trough my favorite neighborhood which is “Amsterdam Zuid”. 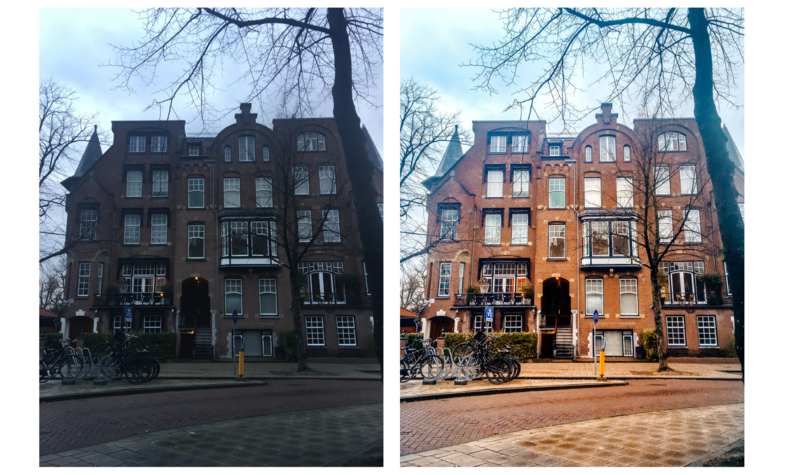 It has the most beautiful and iconic buildings and is basically one of the few places in Amsterdam where you actually live in the city but can have a huge house with a garden and everything. But you guessed it, its hella expensive. I still love to walk around and look at the houses while I’m fantasizing that one day, I will live in one of those houses with Boy (Boyfriend). It seems like an absolute dream. And even though today was a gloomy day, I had to take a picture of one of the buildings – this is not the most beautiful one, but it sure is amazing! Look what a difference the preset made in this picture! It litterlay went from winter to spring! I used the preset “City Chique” from the “Bliss Bundle” with some extra brightening.